Laser-based holograms have been in use since the 1960`s and not much has changed regarding the efficiency and its applications in the modern day world. It has been applied in security services such as the blurry holographic images in a credit card and museum presentations, and that is mostly it. Moving forward in today`s innovations, engineers from University of Utah has been able to make progress and made a breakthrough in cost-efficient photorealistic 3D holograms that is viewable with a flashlight.Creating an actual 3D holographic image requires more resources due to the fact that only lasers can be used. This is because laser-based hologram systems are practically used in dark rooms as they are dim and are easily viewable from an audience. Also, a single laser is only meant for a single color which means more lasers hence resources are going to be used to produce a holographic copy of a colored scene.Menon and his team were able to solve these issues along with reducing the production and costs of equipment by studying the evolutionary adaption of a certain butterfly specie. Pigments on a butterfly scale allow for certain wavelengths to pass through and block others which in turn produces a color in the light spectrum. But this certain butterfly species was able to upgrade its brilliance by bouncing light on its scales rather than absorbing it. "We take all the colors of light that come in and essentially displace them slightly," he said. 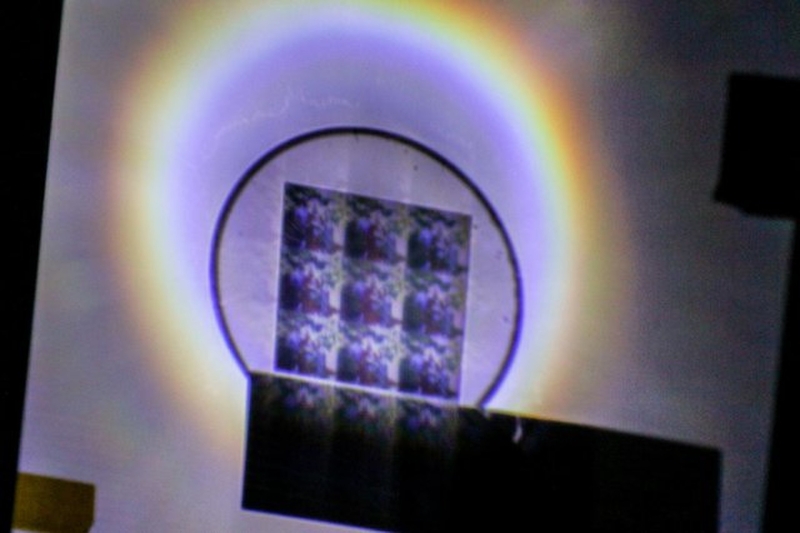 Menon expound that using computer generated microstructures helped in optimizing the efficiency and brightness of the hologram by redirecting light that passes through instead of absorbing it. This process made use of transparent sheets of plastic that is embossed in a way similar to a 3D nanostructure of microscopic hills and valleys. Menon hopes that someday holographic experiences will compete with virtual reality headsets in terms of efficiency and immersion at theme parks, entertainment centers and schools.Want to know more about this awesome device? Follow this link!